If you want a gorgeous smile, call Dr. Vick Kargodorian to ask about a smile makeover. 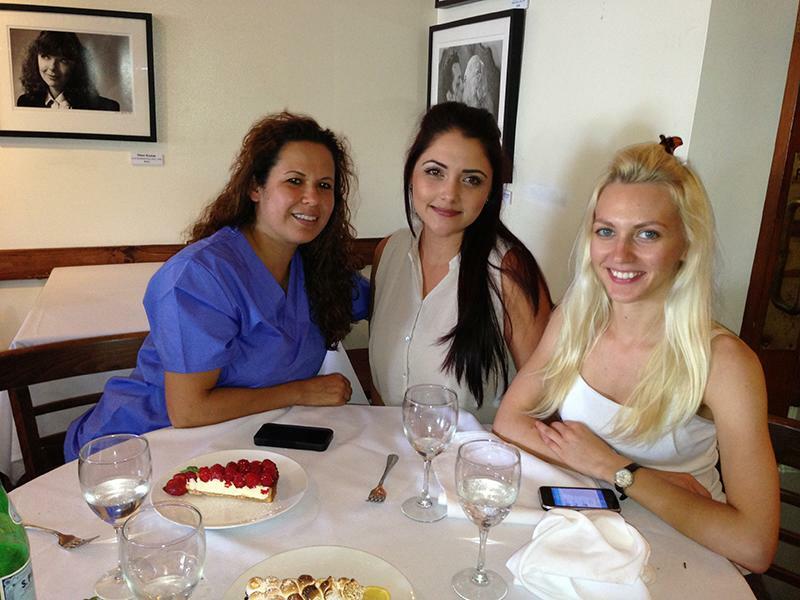 Dr. Vick Kargodorian and our staff at Vick Kargodorian, DDS focus on transforming ordinary smiles into something that is brilliant and stunning. Regardless of how your teeth look today, we can do everything in our power to improve your smile using a variety of cosmetic dentistry procedures. Patients count on us because we have an unsurpassed reputation for excellence. To learn more, schedule an appointment by calling (323) 431-2319. Dr. Vick Kargodorian will start by examining your teeth and learning more about what goals you have for your smile. Options will then be presented, and you can decide the route you want to take. Most of the time, patients in the local area will use a combination of procedures in order to achieve the results they have in mind. Yellow and stained teeth are a sign of age since teeth are whiter the younger you are. By eating foods that are artificially colored, drinking coffee, tea, wine and smoking – teeth can become yellow and severely stained. This will negatively impact your appearance and can even make you look unhealthy. As a result, patients throughout Hollywood have their teeth whitened to remove the stains. There are several ways to whiten your teeth. An in-office whitening procedure can whiten your teeth by up to eight shades in a single office visit and do so without causing any discomfort. For those that would prefer to whiten their teeth on their own schedule, an at-home treatment may be better. In this scenario, an impression is taken of your teeth and a customized teeth whitening tray is created in a dental lab. It is made to fit perfectly so that the whitening solution stays in place, and your teeth feel comfortable. If necessary, Dr. Vick Kargodorian will provide you with a whitening solution that can be used at home so that you can improve the appearance of your teeth regardless of where you are or how busy your schedule is. To learn more, call 323-431-2319 and schedule a consultation. Patients with severely stained or damaged teeth, can have dental veneers placed in order to improve their smile. Dr. Vick Kargodorian is a veneers dentist and creates natural looking dental veneers that can transform ordinary smiles into something truly stunning. In fact, many Hollywood stars have used veneers to improve their smile as most people have an imperfection or two. When you schedule an appointment with our Hollywood dentist office, we will examine your teeth to determine if veneers are the best option for achieving the goals you have for your smile. They can be used to close gaps in between teeth, make teeth even in length, cover dark stains, and restore teeth that have been cracked or chipped. Some crooked teeth can even appear straighter using veneers. Check out what others are saying about our smile makeover and restoration services on Yelp: Smile Makeover Hollywood. When teeth are more severely damaged or broken, a dental crown is often a better solution for transforming its appearance and functionality. A crown can be made in an all-ceramic or all-porcelain material that surrounds the tooth entirely. This improves the appearance of the tooth and strengthens it since when a crown is used, nothing touches the natural tooth. In the past, people may have had dental crowns that were made out of metal. These are functional but are unattractive and make it difficult, if not impossible, for a smile to look natural and healthy. Replacing metal crowns with ceramic ones makes it possible to have the restoration that you need without anyone knowing your tooth had ever been damaged. Dr. Vick Kargodorian can treat patients who want their smile makeover to include getting rid of outdated metal crowns. Our patients trust Dr. Vick Kargodorian and our staff at Vick Kargodorian, DDS to replace their missing teeth in a way that looks completely natural. Dental implants are an excellent way to restore missing teeth because once the procedure is completed; you can enjoy all of your favorite activities and foods without worrying about the tooth falling out or becoming loose. This is important because, with other procedures like dentures, teeth can get loose while running around or eating lunch with friends. Dental implants are so durable that you will not be able to tell the difference between the implant and natural teeth. In this procedure, a metal post is implanted under the gums and secured to the jawbone. Over several months, the bone and metal will fuse together in order to create a synthetic root system that is just as strong as a natural root system. Once healed, a new tooth is secured to the metal post for a natural and beautiful looking smile. 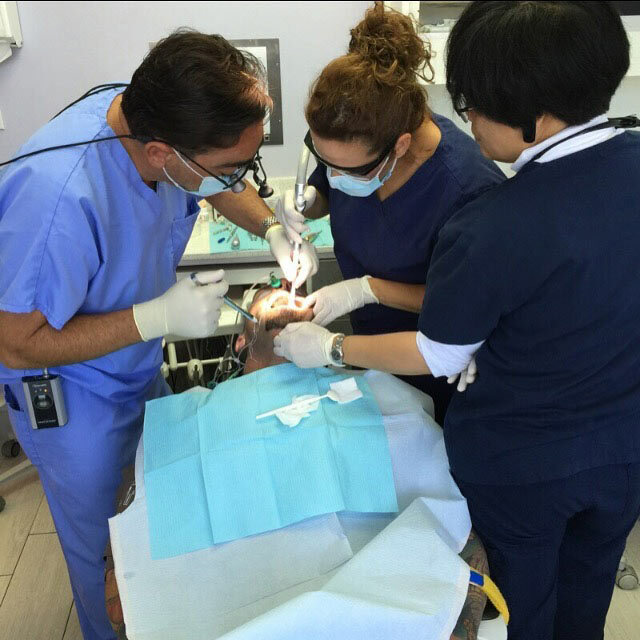 This procedure is commonly used in smile makeovers because it allows Dr. Vick Kargodorian to replace any teeth that are missing. To get started on your smile makeover call our Hollywood dentist office and schedule an appointment with Dr. Vick Kargodorian. You can reach us at 323-431-2319 and we will be happy to schedule a time that is convenient for your schedule.